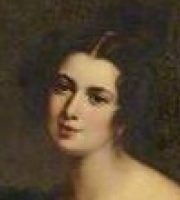 Eliza Acton was a popular english poet woman. She was also the first who published and introduced cookbooks in England. Her first collection of Poems was published in 1826, mostly on the theme of unrequited love. The book was moderately successful, and was reprinted a few weeks after its first issue. She subsequently wrote some standalone, longer poems, including "The Chronicles of Castel Framlingham", which was printed in the Sudbury Chronicle in 1838, and "The Voice of the North", which was written in 1842 on the occasion of Queen Victoria's first visit to Scotland. Acton's best-known work Modern Cookery for Private Families was first published in 1845. It was the result of several years of research, undertaken at the prompting of Longman, who had published her Poems.